For effective IT Risk Assessment and Compliance Management, organizations today have to demonstrate adherence to a series of standards and controls while proving that they actually exist. But there are challenges in implementing in performing an IT risk assessment and ensuring compliance management is proper; especially in the form of determining the relevant regulations that need to be adhered, while ensuring the evidence gathered is in compliance with the identified regulations. Non-compliance can affect a business’ reputation and shake customer confidence. This is mainly because it directly translates to a questionable integrity of the organization. Happiest Minds ensure these challenges are overcome though its robust IT risk assessment and compliance management solutions. 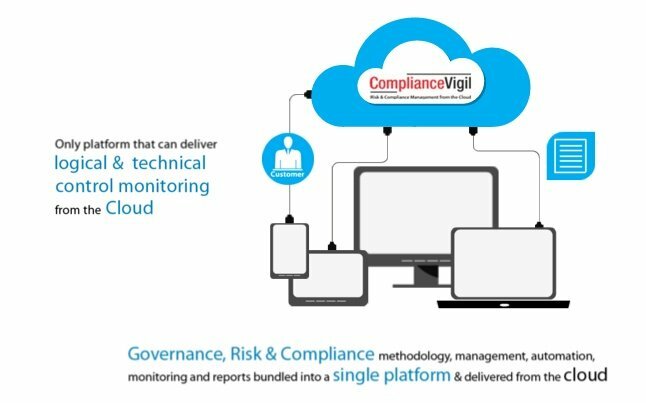 ComplianceVigil solution provides a platform for risk and compliance (R & C) management wherein the framework, management, automation and monitoring of the R&C is bundled into one single platform and delivered from the cloud (private or public). 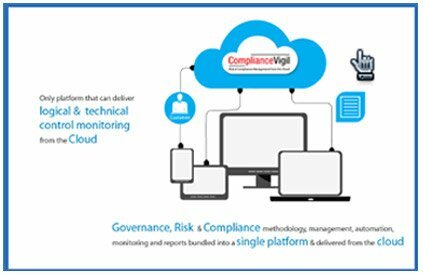 This IT risk assessment and compliance management platform allows to capture all matters of compliance and related data on a single system in order to assist enterprises to keep time and effort up with ever increasing regulatory requirements. The solution also offers various IT risk assessment and compliance management features that can be implemented with minimal time and effort as it comes with pre-configured policies and standards such as PCI DSS,ISO 20000, ISO 27001 ,SOX , HIPPA , Supplier Risk , Application Risk and many more. 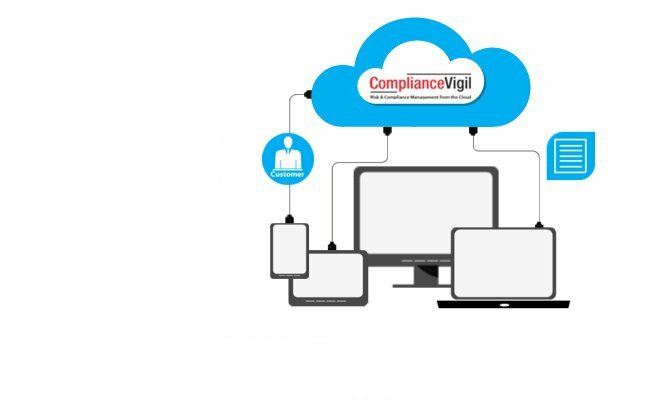 Happiest Minds ensures all mandated norms and guidelines are strictly adhered to with its IT risk assessment and compliance management platform – ComplianceVigil; leaving IT to focus on day-to-day operations and development. Common framework and an integrated approach to meet cross-industry regulations such as ISO 27001/2, SOX ITGC, FDA, HIPPA, PCI DSS, FERC, FAA, HACCP, OMB A-123, AML, Basel II, and data retention laws. Custom compliance policy as per the enterprise’s regulatory needs. Configurable framework is to identify key risks, manage, mitigate and minimize the risks arising from vendors, suppliers and partners. Ability to provide a consolidated vendor compliance overview to customers.